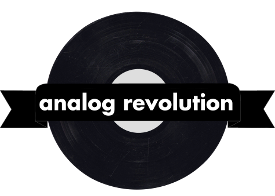 We are Analog Revolution. We make stuff, including a podcast and a print zine published in the Washington, DC metro, and distributed throughout the east cost. The podcast and Magazine about culture, news, and politics. It’s about being active. For two years, we were also independent record store, located in Kennesaw, Georgia. We promote DIY, and seizing the means of production. We print books and magazines. We are strong supporters of local art and music, and active patrons of local businesses. We’re looking for people that want to help out. People with a talent for writing (or illustrating, or performing, or photographing, or whatever else they are good at doing) and a passion for music/art/creative output. Contact us. If you want to learn more about the way we do things, and why we do them, read our philosophy page.